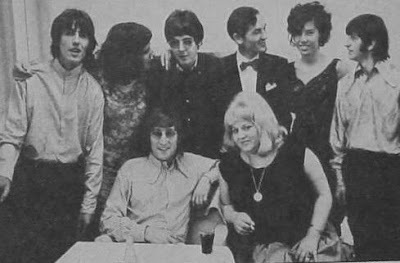 After the press conference, the Beatles had a meal and got to talk and have photos taken with some of their friends from the Hamburg Days. 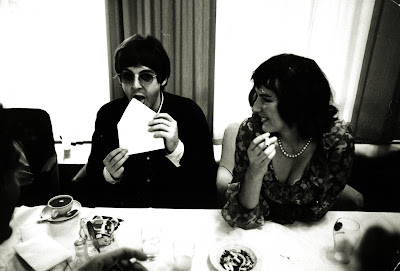 Those that were present backstage in 1966 were Icke Braun (and his wife at the time Evelyn Hamann), Bettina Derlien, Kathia Berger (who Paul always called "strawberry") and Jochen von Bredow. 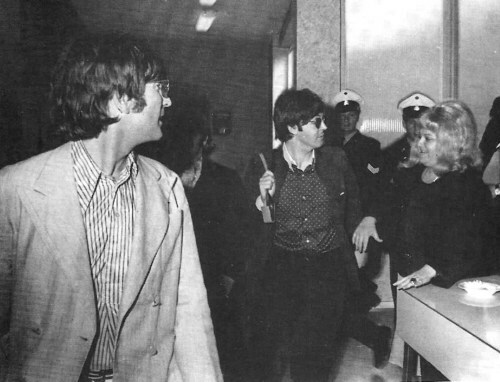 Bert Kaempfert also made an apearance and there is a photo of him and George (reportedly from the June 28, 1966 issue of Bild magazine) was taken. 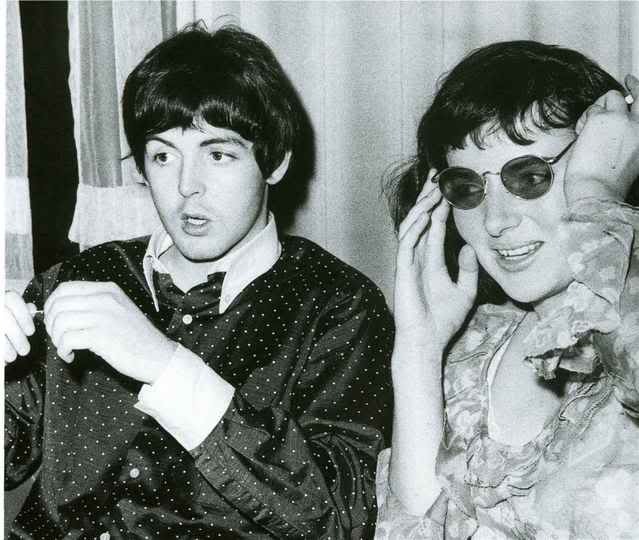 Paul spoke with him and congratulated him on his hit song, "Strangers in the Night." 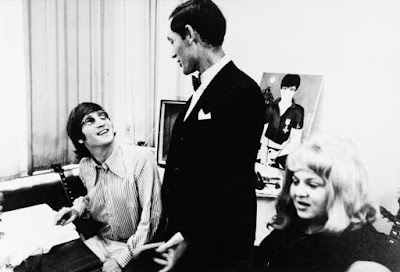 Tony Barrow recalls John singing a line of the song to Bert, whereas Bettina recalled that John refused to speak to him. 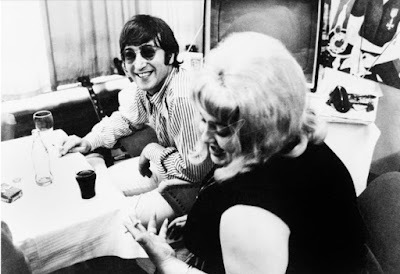 Betty was the girl-friend from John during the Hamburg time. After becoming famous he dropped her, Paul and Ringo continued the frienship till she died.